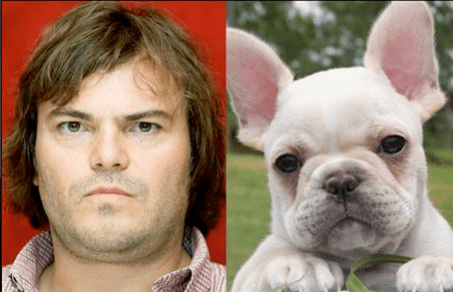 I’m not so sure about this – that Frenchie is waaay cuter than Jack Black, although I think Black can probably dance a better Jig. Hey, while I think Black is very talented and often sidesplittingly funny….that Frenchie beats him in the cute department times 10! .-= Madcap´s last blog ..Leather Double Spiked Dog Collar Black, 26 Inch L x 1 1/2 Inch W =-.